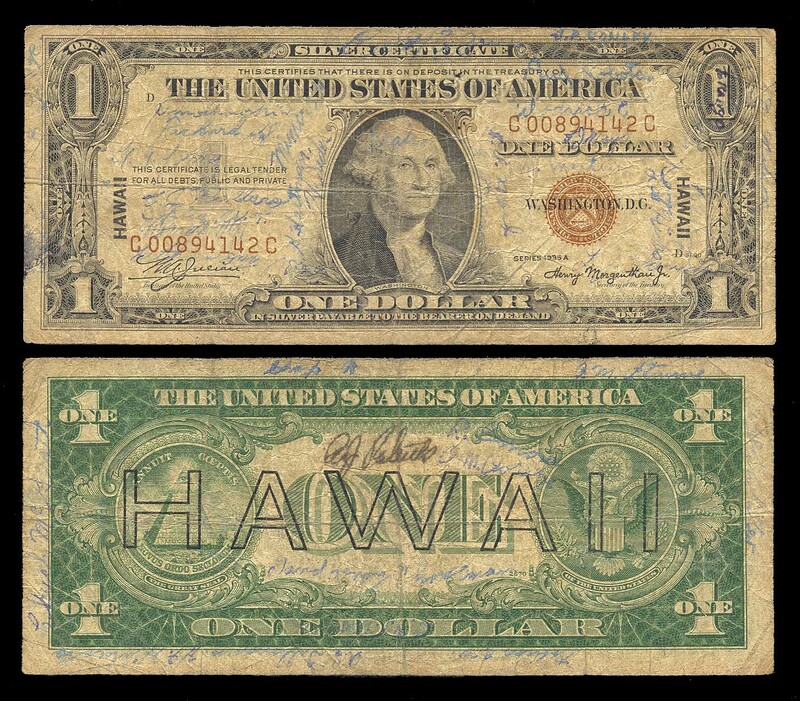 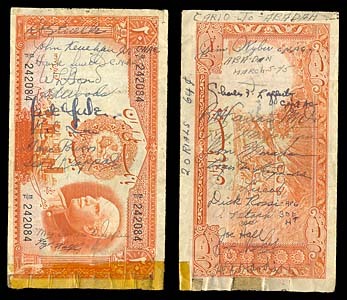 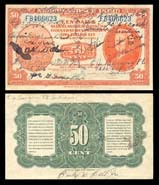 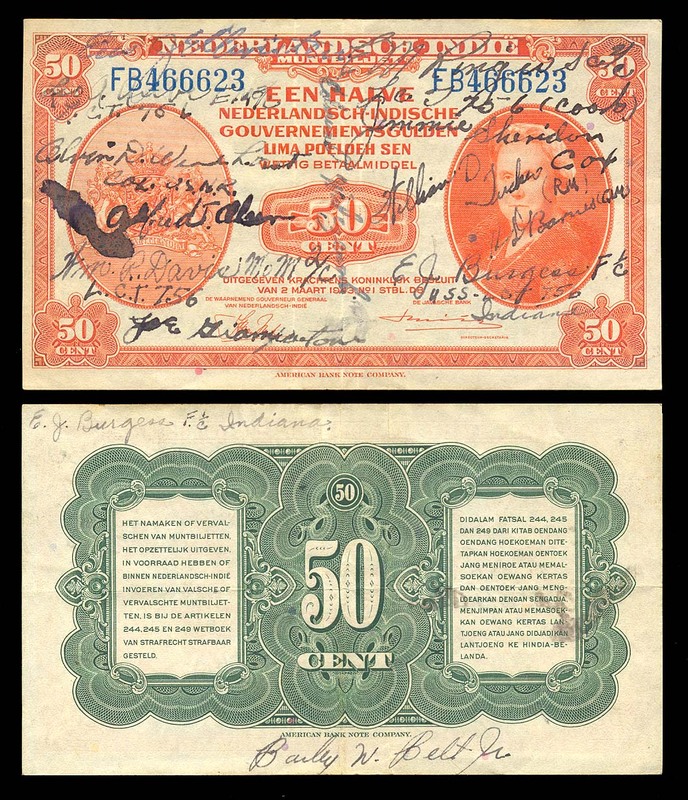 A subcategory of World War II numismatics, "short snorters" were banknotes with signatures and other inscriptions written on them. 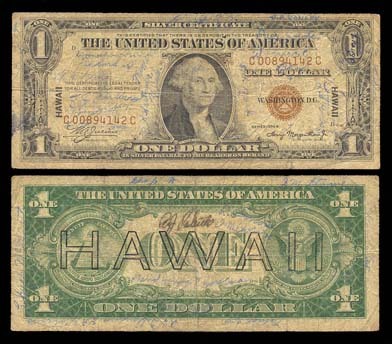 Least prized are things that have things like "Hi Mom, love Eddie." 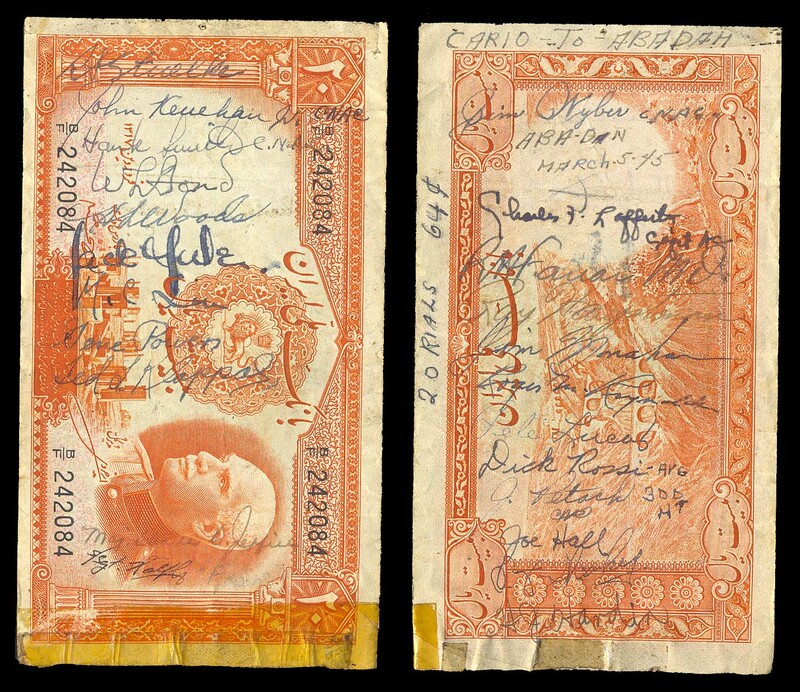 Most valuable are pieces with all the names and ranks of a unit, a date, and a place.